The Swiss PowerBuilder User Group is organizing its next meeting on Wednesday, November 30, 2016. They will welcome again in Zurich Bruce Armstrong who will demonstrate how PowerBuilder Classic 12.6 applications can be used to access any database using OData, then will explain how PowerBuilder Classic can communicate with WCF web services and finally, will demonstrate Desktop App Converter on PowerBuilder Classic applications.? Their second speaker Michael Kramer, will present ORCA for all those of us thinking about improving their existing automated builds or creating new ones and streamlining the release process. New Release (2016R3) of the STD "Integrated" FrameWork! Software Tool & Die Inc? (STD) is very pleased to announce that they have just released an?updated?version?2016R3? (2016.3.0.68) of their?Integrated?Foundation Class?library?for PowerBuilder "Classic", Appeon?Web?and Appeon?Mobile! Exciting news! Appeon and SAP have signed an agreement confirming the release of new major versions of??#?PowerBuilder?. We have no doubt that Appeon will provide PowerBuilder users with a great development platform for years to come and we look forward to seeing all the great new features! 10 New Webinars Announced on PowerBuilderTV! PowerBuilderTV has announced 10 new webcasts for 2016! Sign up for the webcasts covering topics including transforming putting your PB reports online, analyzing Oracle and PB code as well as automating the build process!? The most efficient solution for quickly developing database-driven business applications. All the PowerBuilder News, Events and Webcasts. 14 New Tools and Modules for PowerBuilder Developers! Check out what's new and upcoming for 2016! Modernize your PowerBuilder Applications, enhance their look & feel, streamline your reporting and security features! Find out how to speed up and simplify your deployments, maintenance and build processes. 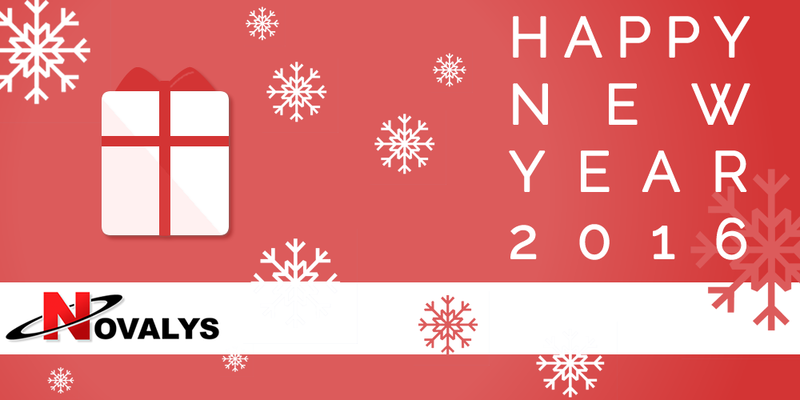 All of us at PowerBuilder?Central/Novalys wish you a wonderful, peaceful and happy 2016 full of exciting news for PowerBuilder! Together let's make?2016 a memorable year for PowerBuilder! New Release (2015R5) of the STD "Integrated" FrameWork! Software Tool & Die Inc (STD) is very pleased to announce that they have just released an updated version 2015R5 (2015.5.0.50) of their Integrated Foundation Class library for PowerBuilder "Classic", Appeon Web and Appeon Mobile! Explore & Understand complex code Evaluate the impact of a change. Improve PB and Database Code. Control Access to Sensitive Data. Send notifications on suspicious events. © 2019 Novalys. All Rights Reserved.